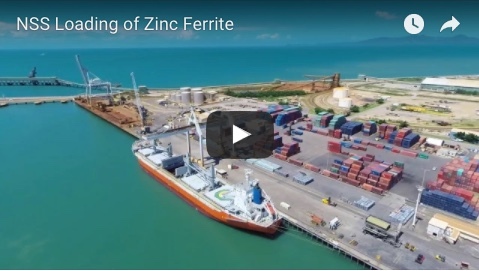 The Port of Mackay is sailing through climatic and economic rough seas with the help of a re-energised mining sector. North Queensland Bulk Ports Corporation (NQBP) is rolling out an $11.64 million infrastructure upgrade to support growth in both break bulk trade and roll-on roll-off cargo (RORO), said chief executive officer Steve Lewis. “An additional 8000 tonnes of equipment was transferred through the port during the past 12 months, refl ecting the focus on this type of trade,” Mr Lewis said. “Accommodating RORO as part of the expansion of break bulk capabilities in Mackay will not only increase options for customers, it will help save money and increase the potential to generate further economic growth. The works under way at the Port of Mackay include design changes to Wharf 4 and Wharf 5 that will allow RORO access via Wharf 4. When complete, larger vessels of up to 200m in length and 32.2m wide will also be able to dock. The port was reporting a lift in activity and enquiry, Mr Lewis said. “There is a steady return of investment back into the mining sector in both renewing current plant and equipment and expanding existing mines,” he said. Mackay’s operational track record further supports NQBP’s vision for the shipping facility. Trade through the Port of Mackay increased 2.74 per cent year on year, despite the impact of category-four Tropical Cyclone Debbie last March. More than 150 ships berthed at the Port of Mackay during the year, carrying a total of 2.9 million tonnes. This volume is expected to grow with the improved facilities coming online in early 2018. 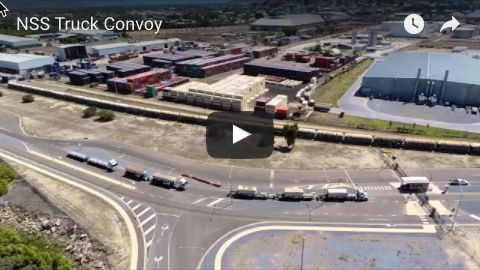 The Port of Mackay offers access to an 800ha break bulk storage area for staging, pre-assembly and pre-commissioning of machinery and equipment. It includes 55ha of wharf-side storage. An accredited quarantine wash-down facility supporting international cargo has recently been completed.